Why Trust Any One Else ! If you have been involved in an motor vehicle accident, you will want your car looked after and repaired to a high standard. For more information on dent repairs or other more extensive car body repair work at our body shop call us today on 0121 753 0353. Use a Manufacturer-Approved Car Body Repair Centre? All parts used in both car engine and car body repairs are from genuine manufacturers, so you can trust that your car is being repaired to the highest standards. Over the Years we have gained manufacturer approvals for leading brands, including Honda, Citroen, Hyundai, Mercedes, Saab, Lexus, Fiat, Nissan, VW, Seat, Mitsubishi, to name a few. All of the paintwork carried out at our repair centre is accompanied by a 6 year guarantee that is, all of our paint technology is water-based, which means the impact to the environment is minimal in comparison to other paint technologies. Whilst we are based in Birmingham, West Midlands we have gained a reputation from our customers in many of the surrounding city’s and towns, including Solihull, Coventry, Wolverhampton, West Bromwich and Redditch. If you are looking for a manufacturer-approved repair centre or a simply a car body repair centre that will provide an excellent service, then look no further than Supreme ARC. 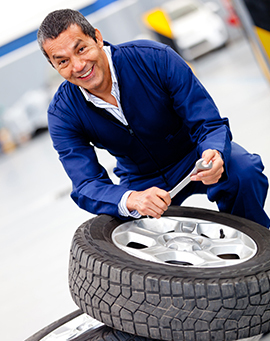 We believe in providing only the best service for our customers and this has been our ethos from day one, because being in an motor vehicle accident is stressful enough you need to have a company who will look after your vehicle and return it to you fully repaired and in perfect condition. We have a large team of dedicated & professional staff, both in the body shop and in our offices so there is always somebody on hand to help you. Accident Repair Courtesy Cars West Midlands If you are without a car as a result of your motor vehicle accident, you will be offered a vehicle from our extensive range of quality replacement vehicles. Accident Repair Courtesy Vans West Midlands Important Notice if you own a van! Accident Repair Collection & Delivery Birmingham Its bad enough having been involved in an motor vehicle accident. Accident Repair Equipment Technology At Supreme ARC we like to ensure we keep up to date with the latest equipment and technology. Non Fault Accident Repairs West Midlands If your involved in an accident that’s not your fault you do not have to claim on your own insurance!